See Ya Later, Baby Alligator! ring. 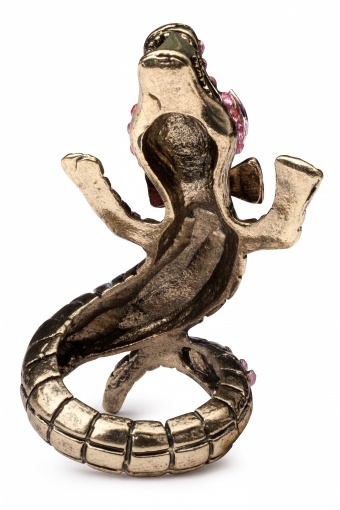 Wow, sooo cool this ring! The baby alligator sits so lovely on your finger and wraps its tail around it. 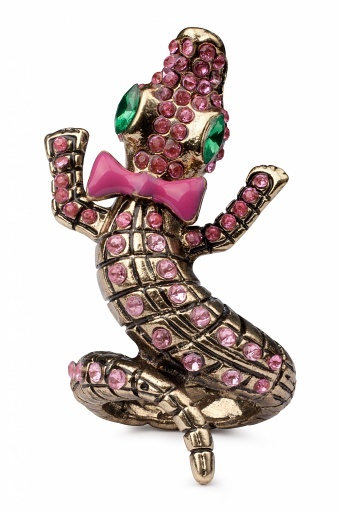 Richly detailled and the head and body decorated with soft pink shiny rhinestones. 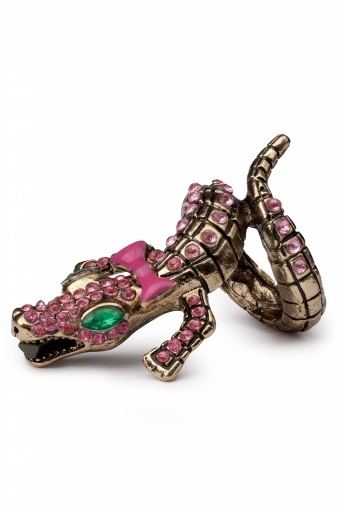 In its eyes two rhinestones in spicy green and the bow in its neck is enamelled in matching pink. As seen in Fashionista and CosmoGirl!